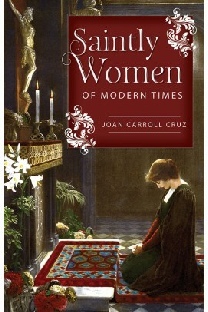 Best-selling author Joan Carroll Cruz presents portraits of seventy-five Catholic women from the past century whose extraordinary holiness set them on the path to sainthood. Their circumstances varied widely: Some were poor farm girls, rag-pickers, or factory workers. Others were middle-class stay-at-home housewives and mothers. some poets and musicians, professors and political activists, doctors and nurses, teachers and social workers. Some seemed naturally pious, while others struggled more visibly to live a holy life. But all of them lived and died for the love of God and others. 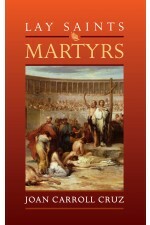 In Lay Saints: Martyrs, Joan Carroll Cruz guides you through the lives of seventy-three lay men and women who achieved the heights of sanctity. These inspiring biographies present martyrs who displayed extraordinary fortitude in holding fast to their faith in the midst of great persecution. Here’s Heavenly help for your problems – large and small! Life is not always easy. That’s why it’s good to have friends in high places. 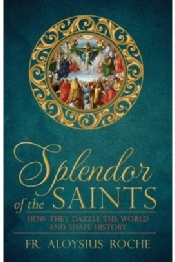 These friends are the saints – thousands of men and women who have faced the same troubles and challenges you face now, and yet have led faithful, fruitful, heroic lives. 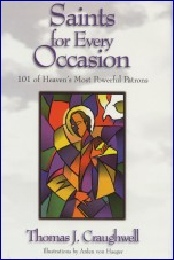 In Saints for Every Occasion you will meet 101 saints – from Acacius to Zita. Each of them triumphed over immense obstacles in their own lives and stand ready to help you do the same. In this riveting biography, author Bret Thoman accomplishes what few biographers have. 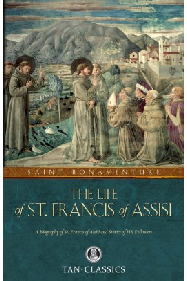 He pierces the inner life of Francis, revealing his deepest passions, his unquenchable love for poverty, and his unshakable grip on the core of the Gospel. The life of Francis, so often festooned with spectacle and miracle, is in reality the story of a soul yearning for God in every moment and glimpsing His presence in all creation. 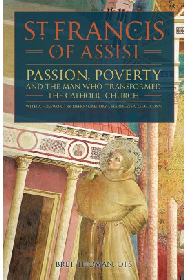 If you want to see the hidden life of the greatest saint, if you want to hear his thoughts, if you want to feel the fervour that blazed within his soul, you must read St. Francis of Assisi: Passion, Poverty, and the Man who Transformed the Catholic Church. 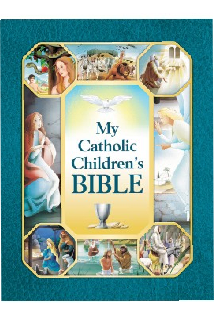 Bring Scripture to life with the inspiring and engaging stories in My Catholic Children’s Bible. Children will love the vivid story-telling! Parents and educators will love how it: introduces a child to Holy Scripture, explains the importance of Scripture in the Life of the Church and helps a child create an active relationship with Jesus. 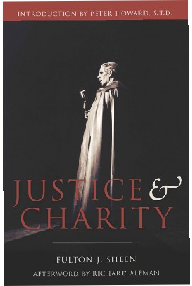 This new, definitive edition of Fr Roche’s modern classic features a new foreword about the author’s life by Paul Thigpen. 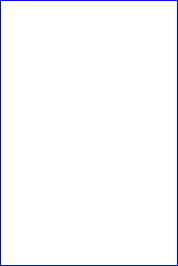 It also features 133 new bibliographic and explanatory footnotes; comprehensive Scripture citations; and an updated style and vocabulary to make it accessible to the contemporary reader.